The Nigerian Army once again has shown her resolve to put an end to the menace of Boko Haram and kidnapping as they arrest a suspected Boko Haram terrorist on Saturday, May 13. Brigadier-General Sani Kukasheka Usman in a statement said that the fleeing terrorist who was captured on morning patrol and preliminary investigation revealed that he is an indigene of Bulabulin village, Fika Local Government Area, Yobe State. 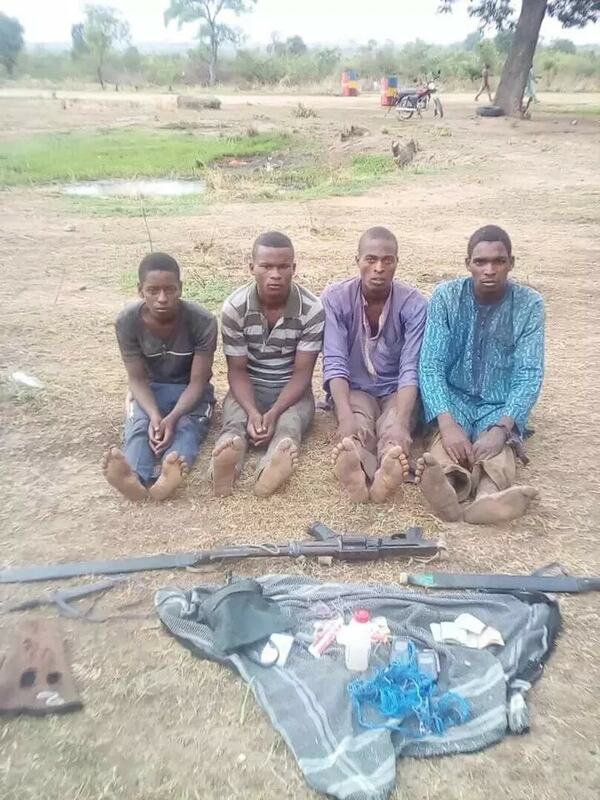 The army in another operation also arrested four suspected kidnappers on their way to carry out their devilish act. 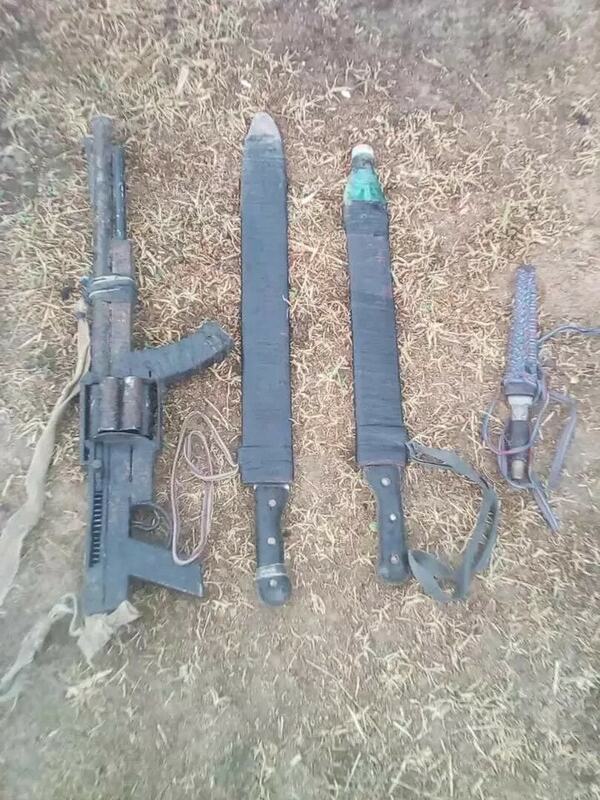 According to the army, certain weapons were recovered as well as mobile phones belonging to the kidnappers. 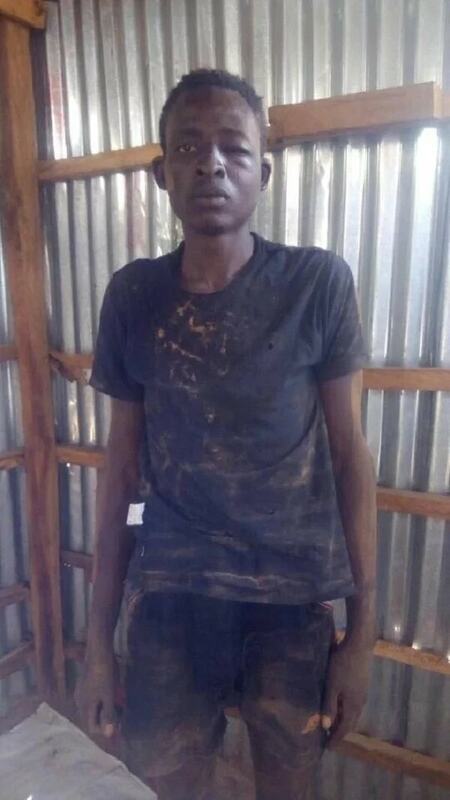 Here’s the statement as thus: "Troops of Forward Operation Base, Fika, on routine patrol earlier today, arrested a suspected fleeing Boko Haram terrorist, named Bala Ibrahim aged 30 years at Fika. Preliminary investigation shows that the suspect is an indigene of Bulabulin village, Fika Local Government Area, Yobe State. He is further being interrogated”. "Similarly, troops deployed at Forward Operation Base Yuga on blocking position, today, following a tip off from well-meaning individuals, ambushed and arrested 4 suspected kidnappers at Mundu village”. "The suspects, Yahaya Auta, aged 25, Salisu Lawal, aged 20 years , Umar Mohammed, aged 18 years and Samaila Abubakar were found to be in possession of 1 Locally made Six Loader Single Barrel Gun, 1 Empty Cartridge, 2 Machetes, a Knife, 2 Mobile Telephone Handsets, 2 Packets of Tramol Tablets and the sum of Three Hundred and Sixty Naira, while on their way to commit crime”.